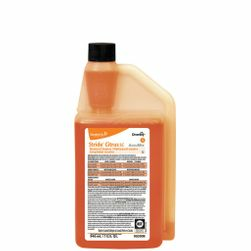 Commercial floor cleaner and degreaser for use on commercial linoleum, rubber, stone, marble and other hard surface flooring. 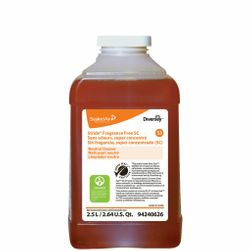 Diversey Taski Profi, in a 1-gallon container, is pH neutral and intended for cleaning specialty floors and for grease removal on facility floors such as commercial kitchens, cafeterias and any facility that requires a grease or oil remover to clean floors. Profi is a highly effective, solvent-free floor cleaner that emulsifies dirt quickly, lifting grease and oil stains. 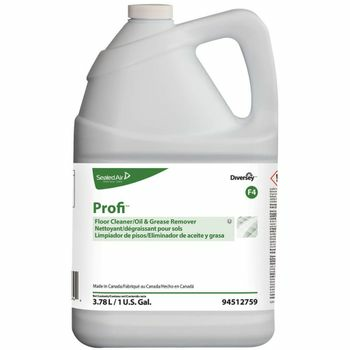 Diversey Profi floor cleaner & grease remover should be used as part of a comprehensive flooring maintenance program. Nonionic oil and grease remover for all resilient and synthetic rubber flooring. Use as floor cleaner and grease remover for all resilient and synthetic rubber studded flooring, linoleum, stone, marble and other hard surface floors. Position wet floor signs around area to be cleaned. 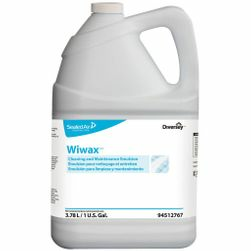 Depending upon cleaning job, light to heavy-duty, dilute Profi accordingly with warm water -reference dilution ratios. 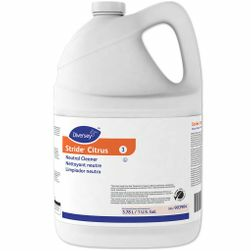 Distribute floor cleaning solution and allow it to soak for 5-10 minutes (as conditions require) before scrubbing. Mop up or wet vacuum slurry. Rinse floor thoroughly and allow to air dry. Note: When cleaning cold floors, use hot water for best results (up to 140 ̊ F). Note: Floors will be slippery when wet and will be slippery when finish is removed. Read and understand product label and Safety Data Sheet before using this product. 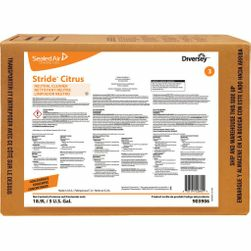 The label contains directions for use, and both the label and SDS contain hazard warnings, precautionary statements and first aid procedures. Improper use or incorrect dilution may result in damage to surfaces. Recommended for use by many commercial flooring manufacturers and specifically identified for use by Johnsonite (Tarkett Commercial Flooring), and US Rubber Recycling and Survivor Sport Floor. Be sure to check compatibility with specific flooring material, by each floor brand, before using.